The Duke Lemur Center in Durham, North Carolina is the world’s largest and most diverse collection of lemurs. Did you know that, outside of Madagascar, lemurs are Earth’s most threatened group of mammals? The Duke Lemur Center advances science, scholarship, and biological conservation through interdisciplinary research, community-based conservation, and public outreach. By engaging scientists, students, and the public in new discoveries and global awareness, the Center promotes a deeper appreciation of biodiversity and an understanding of the power of scientific discovery. Lemurs are native only to Madagascar, where they evolved in isolation from other primates. But luckily for Durham locals and visitors, you don’t have to travel to the Indian Ocean to find a lemur: just head to the Duke Lemur Center where there are 250 individuals from 21 different species. A non-invasive research, education, and conservation facility, Duke Lemur Center studies behavior, genomics, physiology, paleontology, and more. That means that not only can you tour the center to see lemurs up close in one of the tours offered by appointment, but you can also join a research session to see how the scientists teach lemurs, shadow a lemur keeper for a day, or even paint with lemurs! WHEN: 5 – 8 p.m., Saturday, June 20th, 2015. Bring a blanket, join us for a picnic, and meet the lemurs in the Adopt-a-Lemur Program at the Duke Lemur Center (DLC) in Durham, from 5 to 8 p.m. on Saturday, June 20th. Your sponsorship will help us care for the lemurs at DLC and support the conservation work we do around the world. NOSH, a wonderful supporter of the Duke Lemur Center, will be selling picnic style dinner at Lemurpalooza. They will be offering burgers, their famous brisket and portabella mushroom burgers for vegetarians or bring your own picnic basket. Come meet unique primates you can’t see anywhere else in the United States. This will be a special evening experience that allows families to stroll and view the animals at their own pace (usually a visit to the center must be a guided tour.) Keepers and education staff will be on hand to answer all questions about each animal up for adoption. Engaging educational activities will be provided for kids and kids at heart. Community fun, gorgeous lemurs, and an opportunity to conserve the environment and endangered animals all add up to a perfect summer evening. With your tax-deductible donation, you’ll receive regular updates and photos on the animals of your choice. In 2012, lemurs were named the most endangered mammals on the planet. The Duke Lemur Center has been caring and learning from lemurs for nearly 50 years. It is the world’s largest sanctuary for these animals outside of their native Madagascar. When you adopt a lemur, you not only help cover the $7,400 per year cost it takes to care for each animal, but also support our work in the United States, Madagascar, and around the world to study and save these endangered animals. If you cannot attend their Lemurpalooza, you must make a reservation for a regularly scheduled tour to visit the Duke Lemur Center. Call (919) 489-3364 ext.0 or (919) 401-7240 to make your reservation today! You must schedule a tour in order to visit, meaning they do not allow self-guided visits. You must be with a tour guide at all times.All tours are by appointment only. Tours are conducted seven days a week. Tours are paid for the day of by cash, check or any major credit card. Tours tend to book up 1-2 weeks in advance, longer for weekends during the spring and summer months. If you leave a voice message, please give our staff up to 48 hours to return your call. According to the Duke Lemur Center, as of 4/1/15 weekday tours are booking 3 weeks in advance, weekends, one-two months. 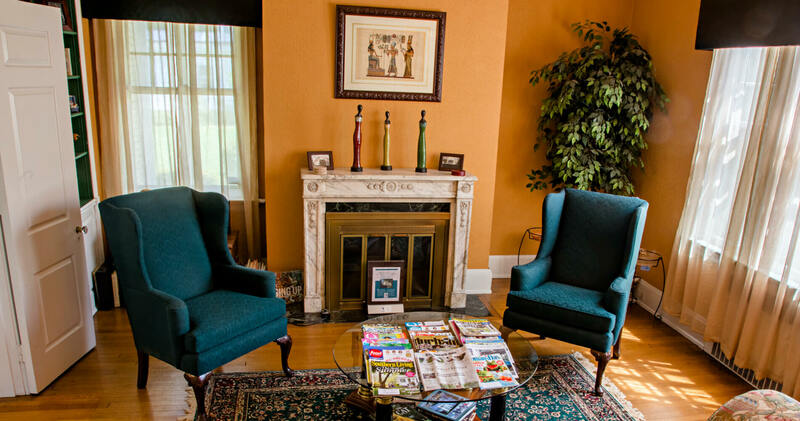 Morehead Manor Bed and Breakfast is the perfect choice for your Durham lodging. We love hosting visitors from all over the world. Our guests love our delicious gourmet breakfasts prepared fresh each morning. No matter how near (or far) guests are to our luxurious Durham accommodations, they are always glad they visited Morehead Manor. This entry was posted in Uncategorized and tagged conservation, Duke Lemur Center, Durham, Lemurpalooza, lemurs, Madagascar, mammals, Morehead Manor Bed and Breakfast, North Carolina, primates, tour, world's largest sanctuary by admin. Bookmark the permalink.